Each dollar you donate will make a big difference. Your generosity will go far, and no amount is too small. All contributions are tax deductible, and with your contribution, you will have the opportunity to participate in events, discussions, and outreach initiatives. 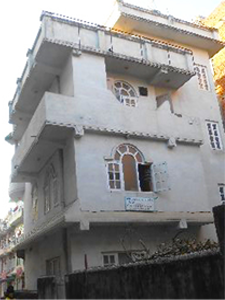 Building a community at home gives a global voice to the vulnerable children of Nepal, those at risk in all primary target countries, and in our own backyards. Make an online donation or register to contribute monthly, quarterly or annually. Or call us directly at 415-706-9834. Pledging a small amount each month provides stable and consistent support to the cooking school and to the outreach office. Only $25 per month provides tuition for one of our students. And just $30 a month pays for room and board for one of our students at the JHF Safe Home. Any amount you can give makes a difference. Your contribution helps to secure an education for one girl so that she can say “no” to peddlers of illusions and lies—knowing that she already has a real future of her own with the skills to support herself. 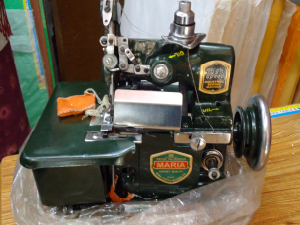 A one-time contribution of $300 will purchase this sewing machine for the textile course.